Bifold Doors. They’re a very good looking decoration that a lot of people want to have. However, they need that special kind of glazing in order to be just right. Picking the right glazing for your door can be a challenge. 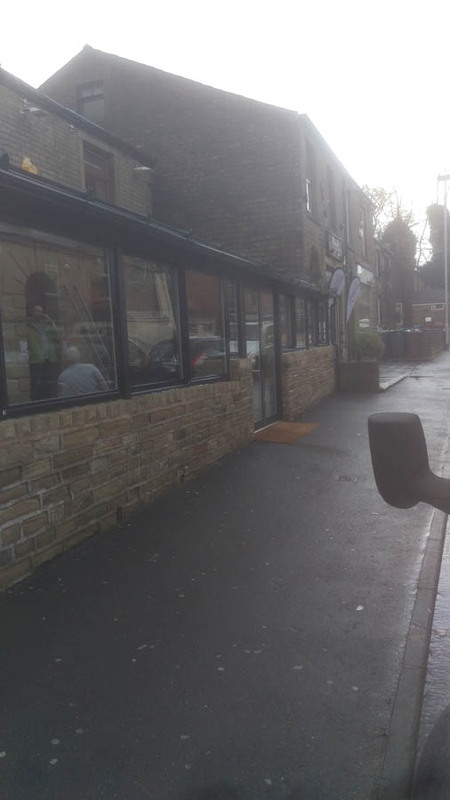 You need to make sure that you’ve picked the right material for the Manchester area, because otherwise the door will not perform to your expectations. To try and help you with this, we’re going to be taking a look at some of the different things you should consider when it comes to choosing glazing. One of the first things that you have to consider when it comes to choosing glazing for your bifold door in the Cheshire area is how much you can afford to spend. We all want the very best in glazing, with double or triple glazed windows that look good and will last for a long time, but that’s not always practical. There’s a happy medium between the ideal components, and the truth of what you can afford within a budget. Striking that balance will be critical for anyone who wants to get the optimum glazing, so it’s well worth making sure that you have got your budget sorted well in advance. Climate – The Perfect Manchester Weather! When choosing windows for a Manchester property, you have to think about the climate of your area. 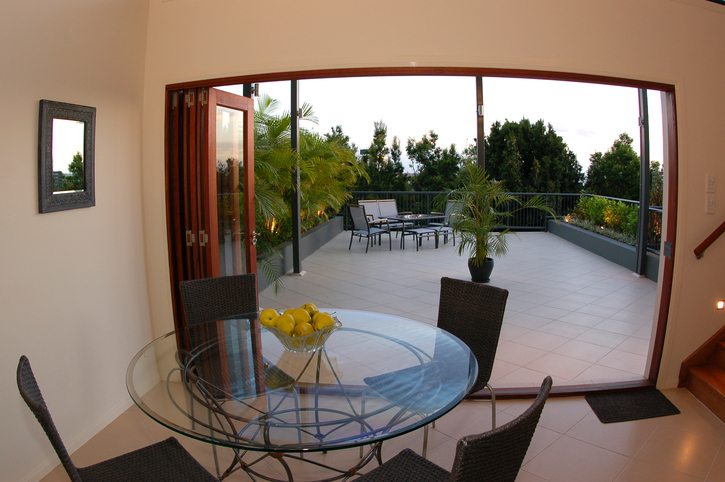 The type of glazing you pick will depend on the kind of place you live in, with regards to the temperature. If you know that the temperature fluctuates quite wildly during the winter and summer months, you need the right windows to compensate. Double and triple glazing made of an energy efficient glass can make all the difference when it comes to protecting yourself and your property from massive fluctuations in hot and cold. You want to have the right amount of glazing that you trap heat in the winter, but also prevent heat from building up too much in the summer. It’s all about striking that balance in order to get best glazing for your Cheshire property. Ah yes, the age old question. Do you get a double glazing set up for a Manchester bifold door, or a triple one? There’s benefits to both options, so you would be wise to explore each option with the same consideration. Make sure that you’ve chosen the right one for your needs, and you’ll benefit from the choice for years to come. Overall, these are just a few of the different things that you should consider when it comes to making sure that you’ve got the best glazing for your bifold door. It can be tricky to get the optimum levels for your Cheshire property, but the door will benefit greatly from the right kind of glazing for it. The right kind of glazing will ensure that you’re not having to deal with problems such as heat loss, the build up of heat, or having doors which were ridiculously expensive to install in the first place. When selecting a door for your property or building, you want to choose something which will provide you with the best possible access in and out, and also be the most efficient design possible. 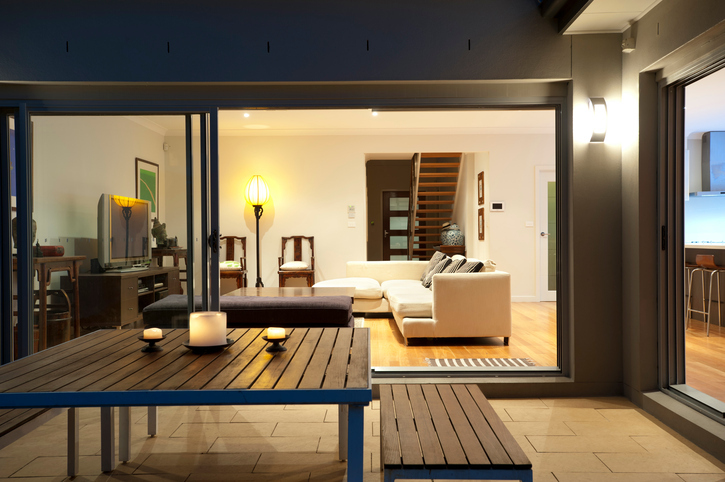 While people do choose to use sliding doors in their property, others have found bi-folding doors to be a better option. But why is the bi-fold door a better choice than the sliding door? What are the advantages of a bi-fold door? In order to understand why the bi-fold door is a more popular choice for people to use, it’s important to be aware of the advantages to a bi-fold door. The door itself is one which can, at the very basic level, fold in on itself to provide more space, as less is taken up by the door. This makes it good for smaller rooms or areas where a sliding door would not be helpful. It can also be very helpful in a domestic setting, as the wider space provided could help to create a more social area, for example if there was the door acted as a divider between the living room and the kitchen, or the living room and the conservatory. 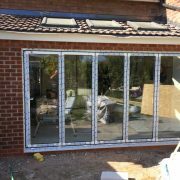 As well as this, the bi-fold door is easier to install than it’s sliding counterpart, and is also very good for unique properties and homes where the sliding door might not be the best choice for a door, whereas the bi-fold can be configured to meet the demands of the home in many ways. So why does this make it more popular than sliding doors? The bi-fold door is a more popular choice than the sliding counterpart because it is a more versatile choice when looking at what can be best implemented into a home. 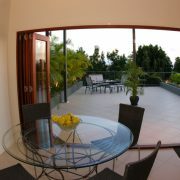 The sliding door is very rigid in it’s design, and can not be adapted to fit a modern or alternative home. The folding door can be very adaptable in it’s configuration, and this allows it to be able to slot into any household without an issue, especially the smaller ones or those which are harder to access. As well as this, the fact that it folds over can really help to open up a living space in a way that a sliding door can not, by becoming basically invisible when needed, which makes it much more useful when you’re creating a social space for people to sit and talk in. 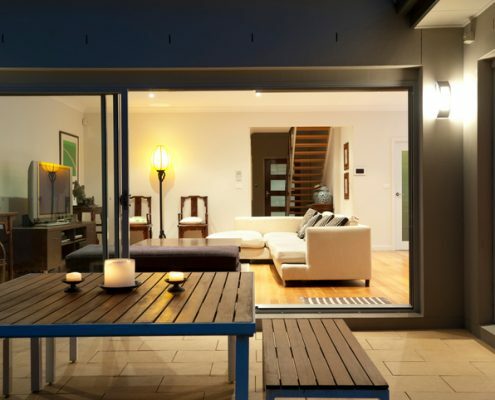 Overall, the bi-fold door has many properties which make it an appealing door to use, and it’s easy to see why it is more popular than a sliding door variant. For smaller homes especially, you need to be able to maximise the space which you have available, and the bi-fold door can help with this by tucking itself out of the way when required, which means that you can make a space seem much bigger when you’re entertaining guests or moving objects through the house, which a sliding door would almost prevent you from doing, making the bi-fold a more popular choice in increasingly unique and modern homes. 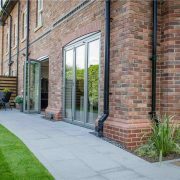 Alphamet are the UK’s leading installers of bi fold doors, based in Manchester serving Cheshire, Altrincham, Wilmslow and Hale homes and throughout Greater Manchester with stunning fabricated bi fold doors. If you want to open up your space this summer, then speak to a member of our team for a free no obligation quote and site survey today. We re working on a home extension at the moment and just thought we would share this picture of where we are up to at present. Stackers are in on this bi fold door and it’s ready for summer. 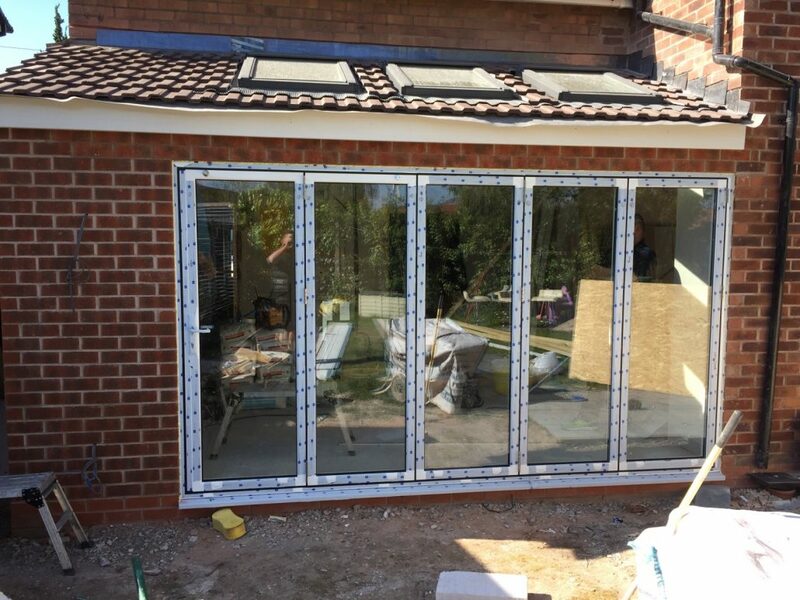 Check out the image below and if you are in the Cheshire area and are looking for the best bi fold door installations from a well established Manchester company then why not speak to a member of our team today for a free no obligation quote. 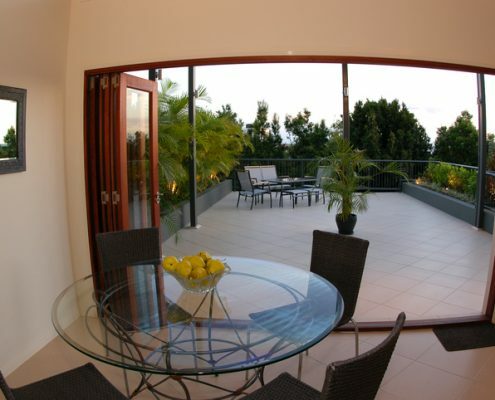 Senior Architectural are the leaders in bi fold door design and it’s not hard to see why. Back before bi folding doors were fashionable in London homes, they were already developing bi fold door systems and knew that bi fold door systems would take off in a big way and why not? They open up homes, bring the outside in, look great, are minimal and using the best aluminium bi folds have to offer are aesthetically pleasing too. 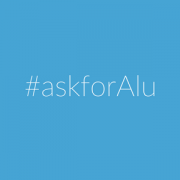 Senior are asking us to use the hashtag #askforAlu as their new range of bi fold doors on Twitter and throughout Social media and with Senior opening up a new industrial unit to house the new door systems we think it is going to be an exciting year for fabricators and installers that use these high end ranges of bi fold door systems. There are many uses for for sliding and bi folding doors for things like Aluminium Shop Fronts, Roof Glazing, Residential and Office. Here at Alphamet Aluminium we fabricate these systems on site and work with many contractors tobuild bespoke doors and bi fold doors to suit the needs of your business or home. Why not speak to a member of our team today to arrange a free consultation or site survey.